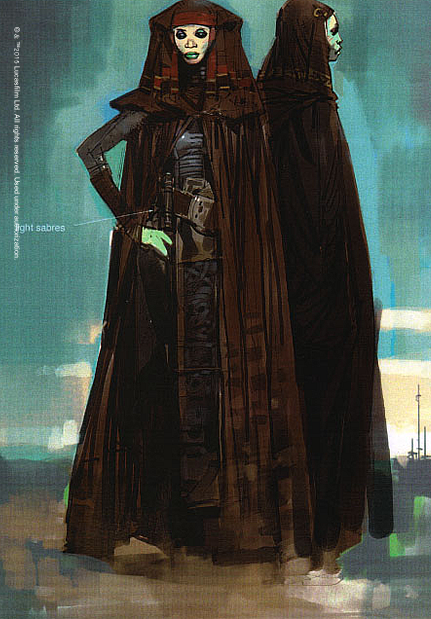 The colors and textures of the Jedi costume convey purity, simple living, and suggest hidden wisdom. 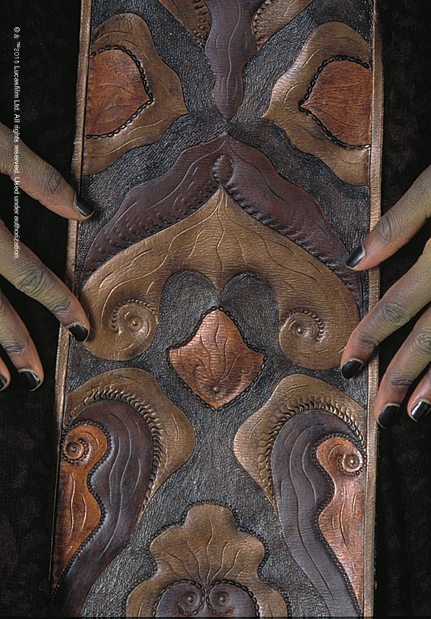 Conceived by artist Dermot Power, the robes of Jedi master and General Luminara Unduli include a hand-tooled and painted leather skirt panel and arm cuffs, representing her home planet of Mirial. 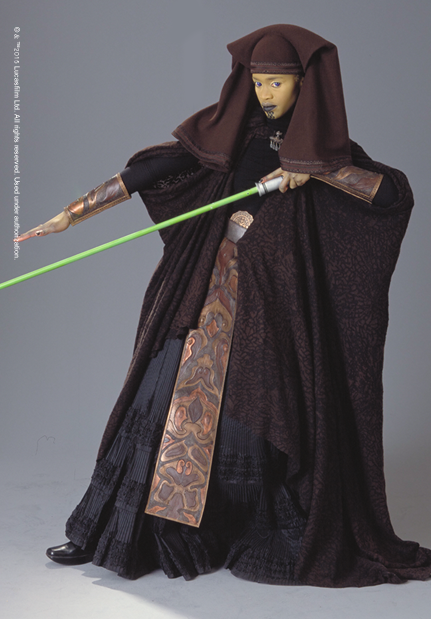 The substantial materials and layers of pleated fabric make the costume quite heavy.